Usually graphics cards have a black or black and red color scheme. Today we are going to look at probably the only white GeForce GTX 1050 Ti available in the market – the GALAX GeForce GTX 1050 Ti EXOC White 4GB. This graphics card features an all-white design, not just the cooler shroud and fans, but the PCB itself; similar to the GALAX GTX 1080 HOF we reviewed before. 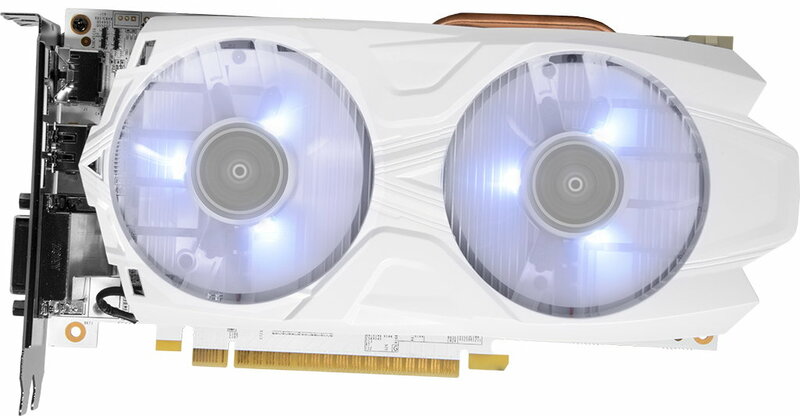 The Galax GTX 1050 Ti EXOC White features a beefy cooler with dual fans and white LEDs; and comes with a reasonable price tag that is similar to most competing GTX 1050 Ti in the market. If you are looking for an all-white version of the GTX 1050 Ti, this is currently your best and probably the only option. Continue reading our Galax GTX 1050 Ti EXOC White review below and find out if this is the graphics card for you. As many of you know, the GeForce GTX 1050 (Ti) cards are at the bottom of the GTX 10 series family. It’s not geared towards the enthusiasts and demanding gamers, but it’s geared towards the budget conscious gamers. It’s also the graphics card to go if you are just playing not so graphics intensive games or MOBA games like Dota, League of Legends, CS: Go, Overwatch and etc. The GeForce GTX 1050 Ti is powered by a GP-107 chip featuring 768 CUDA cores with a base clock starting at 1290MHz; and is paired with a 4GB GDDR5 memory with 112 GB/s memory bandwidth running on a 128-bit interface. Meanwhile, the non-Ti version (GTX 1050) has only 640 CUDA cores and 2GB of GDDR5 memory. The GeForce GTX 1050 Ti has a TDP of 75 Watts and only requires a minimum of 300W power supply. The reference GTX 1050 (Ti) doesn’t require an external power to run as it draws power from the PCIe slot. However, the Galax GTX 1050 Ti EXOC has a 6-pin power connector; I’m not sure if it’s really necessary but probably for power stability more or less. 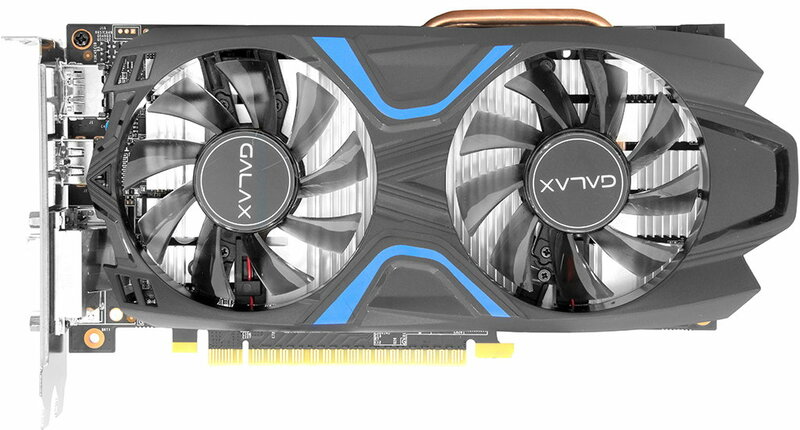 The Galax GTX 1050 Ti EXOC White features a beefy cooling solution with two 80mm fans paired with a solid aluminum heatsink and a copper heat pipe. It also features an all-white PCB that is similar to what they use on their Hall of Fame graphics cards. Galax has also implemented a 3+1 power phase design for power efficiency. By the way, there is also a black version of the GTX 1050 Ti EXOC, but it doesn’t have any LED lighting. Below is a side by side specifications comparison of the Galax GTX 1050 Ti EXOC White, NVIDIA’s GeForce GTX 1050 Ti and GTX 1050. Next page, let’s take a closer look at the graphics card itself. Card Dimensions 245mm x 126mm x 39mm 4.38" x 5.7" 4.38" x 5.7"
does fan stops at idle? use msi afterburner and it should accept the fan profile you can setup. so far i’ve only seen seen 1070 (and higher) that would not let you drop to 0% manually. but so far, all sub 1070 cards i setup can be throttled on the fan to any number. till 50C, then jump to stock profile rpm till 60C, and max fan speed at 100C. monitor temps for max levels in afterburner, if you hit +82C set endpoint to 5C less and see if its enough. which would also allow the card to boost higher (without manually adding oc).